Hammond B-3 organist Dr. Lonnie Smith at the age of 75 has released a new album called, All in My Mind. A foremost maestro of the Hammond B-3 organ, innovation and experimentation. The 2017 NEA Jazz Master has a lot to say musically, all in the spirit of tradition and pushing forward, as evidenced on his spirited new live album All in My Mind. The album is his second for Blue Note since his 2016 return to the label. The recording transpired during his 75th birthday celebration at the Jazz Standard in New York City. The enduring appeal of organ soul has not waned over the years, and this album is full of versatility and the true sounds of the style. Smith is joined by his longtime trio, guitarist Jonathan Kreisberg and drummer Johnathan Blake. In addition, drummer Joe Dyson and vocalist Alicia Olatuja appear on a track each. The resulting seven-track album is full of music that speaks from the heart of the close musical family and that’s the short of it! Every track is a fun filled groove with sophisticated harmonic voicings, indelible melodicism and ethereal atmospherics. Kreisberg sounds wonderful, smooth lines that clearly take the music places. Smith is as melodic and soulful as ever, and the vibe is amazing. 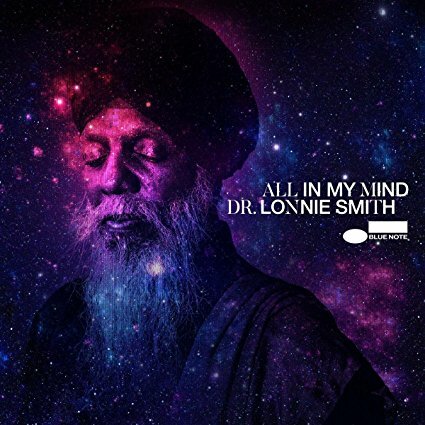 Dr. Lonnie Smith’s All In My Mind is a powerful rendering of the organ-soul styling. The trio demonstrates the versatility and beauty of organ trio throughout the seven tracks. The trio has developed a sound and feeling all their own, all three play wonderfully and the love and respect between them is audible.